One house, three storeys, four stories, five decades, nine ghosts, twenty-three orgasms, thirty-one Showaddywaddy jokes – sixty-five minutes. Megan has just been cast in Scottish Feature Film 'The Sopranos' directed by Michael Caton-Jones and based on the book by Alan Warner. Filming begins in October in Scotland. 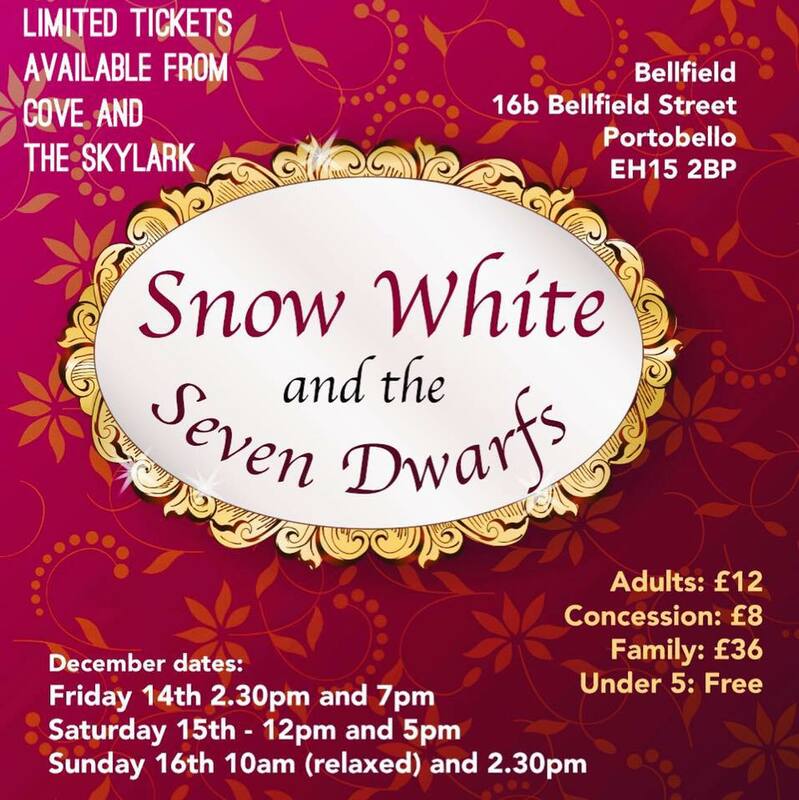 Megan will be playing the role of Snow White in 'Snow White and the Seven Dwarfs' in the Bellfield Pantomime in Edinburgh from Friday 14th - Sunday 16th December. Tickets have now sold out, but please do check on the Pantomime Facebook page for returns! Megan will be singing at the album launch of Scottish rock/pop band The Firrenes on Saturday, November 10th at The Voodoo Rooms in Edinburgh. The Firrenes are a five-piece band from Edinburgh, playing original, song-based rock and pop music and drawing on influences as varied as folk, soul, Americana, 70s rock, blues, R&B and classical. 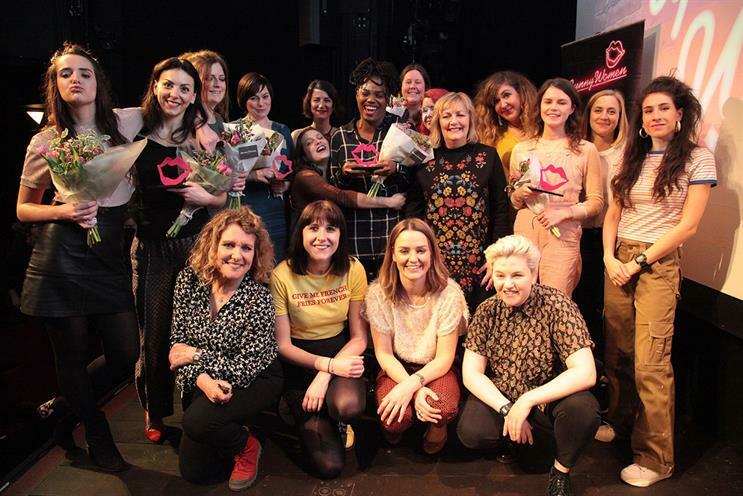 ​Megan has made it to the CHARITY GRAND FINAL of The Funny Women Awards 2017/18! Three strangers – a naive entrepreneur, a manipulative deviant and an emotionally volatile bat enthusiast – meet in the dead of night to negotiate a secret deal. A darkly comic tale about desperate lies and dodgy tactics in an unhealthy competition, where nobody wants to get what they deserve. 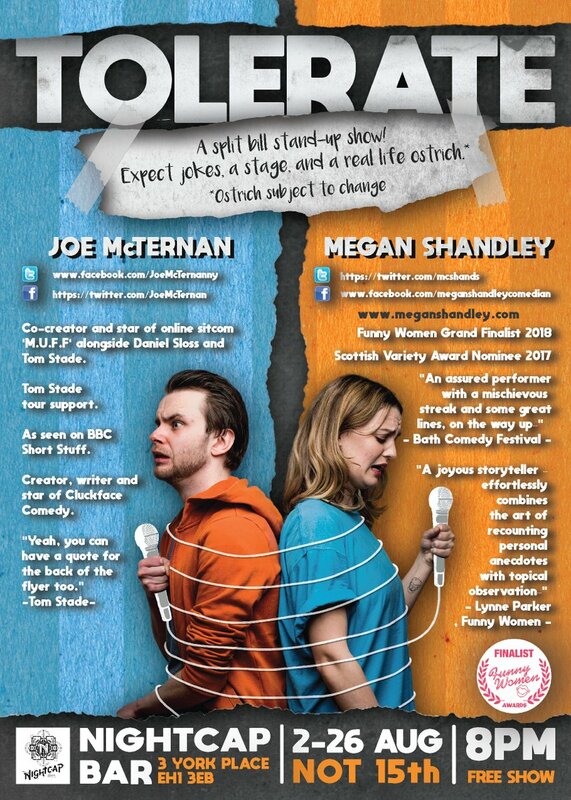 Megan will be performing at this year's Edinburgh Fringe Festival, as part of a double bill with fellow comic, Wis Jantarasorn. 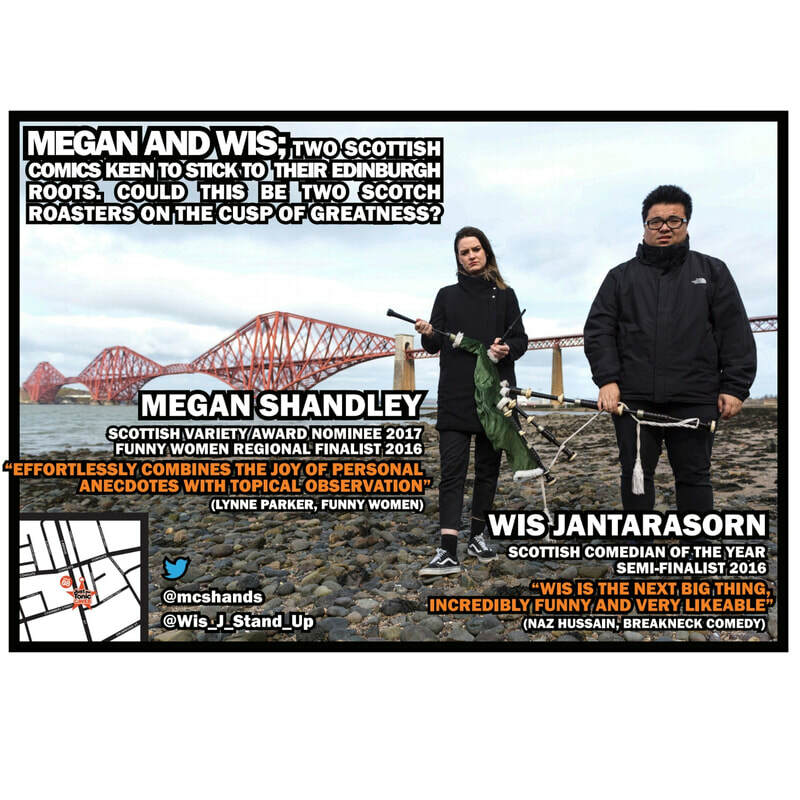 Megan Shandley (Scottish Variety Award nominee 2017, Funny Women Regional finalist 2016) and Wis Jantarasorn (Scottish Comedian of the Year semi-finalist 2016) are two Scottish stand-up comics keen to stick to their Edinburgh roots. Here, they present a home grown hour; could this be two Scotch roasters on the cusp of greatness? As seen on BBC and STV. 'Wis is the next big thing, incredibly funny and very likeable.' (Naz Hussain, Breakneck Comedy). 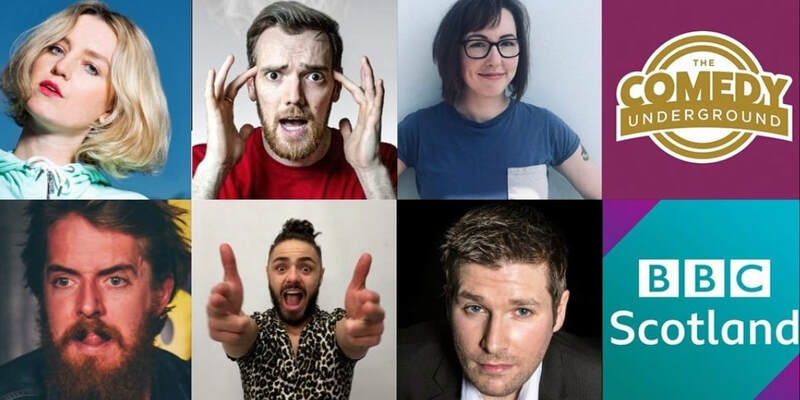 In their 12th year, Comedians' Theatre Company has become synonymous with exciting new writing and pushing comedians' performance boundaries by casting them in works of theatre. 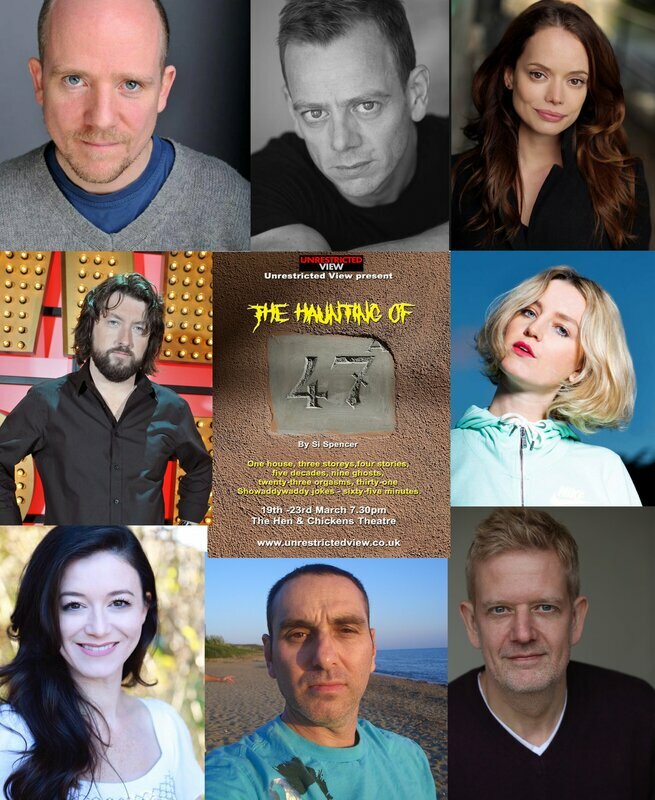 Watch six different brand-new 20 minute long theatrical duologues on the theme Together? Asunder. Written by six comedians and performed by six different comedians. Fans of the company's new writing workshop showcase Itch: A Scratch Event will know that they present an enticing mixture of surreal, sensitive and innovative shorts. This is a must-see event. No dice! Curated by Maggie Inchley and Phil Nichol. 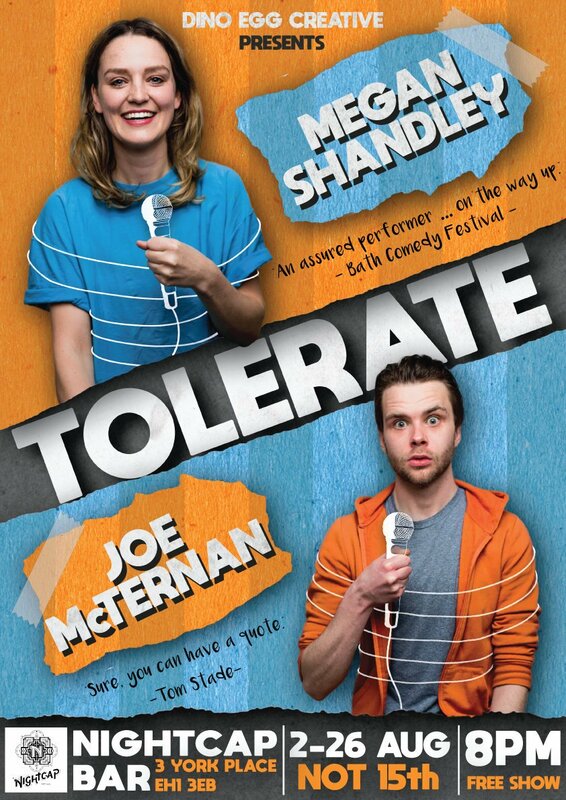 ​"...it’s told here with real flair, terrific energy, and a strong local Edinburgh twist..."
"...brilliant young Edinburgh actress Megan Shandley..."
"...fine performance from Murray as Bobby, and a memorable one from Shandley..."